Posted in Air Conditioning, NewsLeave a Comment on Why Choose High Efficiency Air Conditioning? Nobody likes to think about the air conditioning system in their Eastford home breaking down during the hottest time of the year, but if it happens to you, count on Stafford Mechanical Services, Inc. to help. We’re pleased to offer our customers 24-hour emergency repair services. You’ll receive expert repairs on your equipment, helping you and your family get back to enjoying cool comfort as quickly as possible. When you call Stafford, you can count on our talented technicians to help you get the AC in your Eastford home up and running quickly. Our team is factory trained and fully licensed, so you know you’re getting expert repair services. Not to mention, we can perform repairs on just about any make or model of air conditioning system, so even if you didn’t purchase your equipment from us, you can rely on us to help. Trust Stafford when you need air conditioning repairs for your Eastford home. When you need air conditioning repair for your Eastford home, count on Stafford Mechanical Services, Inc. to assist you. We proudly service Carrier AC or any other brand. You may contact us via phone at (860) 684-9485. We look forward to helping you with all of your air conditioning needs. 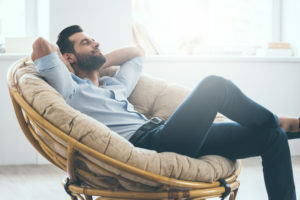 There is never a good time for the air conditioning system in your Coventry home to break down – especially during the summer months – but if it happens to you, there is help. Stafford Mechanical Services, Inc. is pleased to offer our customers 24-hour emergency repair services. When you call us, you’ll get expert repairs on your equipment, so you and your family will get back to enjoying cool comfort in no time.When you call Stafford, you can rely on our skilled technicians to help you get the AC system in your Coventry home back up and running right away. Our team is factory trained, fully licensed and will provide you with expert repair services. Not to mention, we can provide repairs for virtually any make or model of air conditioning system. Even if you didn’t purchase your system from us, you can count on us to help. Stafford can help you get the needed air conditioning repairs for your Coventry home. When you need air conditioning repair for your Coventry home, count on Stafford Mechanical Services, Inc. to assist you. We proudly service Carrier AC or any other brand. You may contact us via phone at (860) 684-9485. We look forward to helping you with all of your air conditioning needs. There is never a good time for the air conditioning system in your Bolton home to break down – especially during the summer months – but if it happens to you, there is help. Stafford Mechanical Services, Inc. is pleased to offer our customers 24-hour emergency repair services. When you call us, you’ll get expert repairs on your equipment, so you and your family will get back to enjoying cool comfort in no time.By calling Stafford, you’ll have access to our team of expert technicians. They’ll help get the AC in your Bolton home up and running in no time. And, our technicians are factory trained and fully licensed, so you can count on getting the expert repair services you deserve. We’re able to provide repairs for virtually any type of air conditioning equipment. So, even if you didn’t buy your AC from us, we can help you get the needed repairs. Stafford can help you get the needed air conditioning repairs for your Bolton home. When you need air conditioning repair for your Bolton home, count on Stafford Mechanical Services, Inc. to assist you. We proudly service Carrier AC or any other brand. You may contact us via phone at (860) 684-9485. We look forward to helping you with all of your air conditioning needs. Nobody likes to think about the air conditioning system in their Ashford home breaking down during the hottest time of the year, but if it happens to you, count on Stafford Mechanical Services, Inc. to help. We’re pleased to offer our customers 24-hour emergency repair services. You’ll receive expert repairs on your equipment, helping you and your family get back to enjoying cool comfort as quickly as possible. When you call Stafford, you can count on our talented technicians to help you get the AC in your Ashford home up and running quickly. Our team is factory trained and fully licensed, so you know you’re getting expert repair services. Not to mention, we can perform repairs on just about any make or model of air conditioning system, so even if you didn’t purchase your equipment from us, you can rely on us to help. Stafford can help you get the needed air conditioning repairs for your Ashford home. When you need air conditioning repair for your Ashford home, count on Stafford Mechanical Services, Inc. to assist you. We proudly service Carrier AC or any other brand. You may contact us via phone at (860) 684-9485. We look forward to helping you with all of your air conditioning needs. It never fails – if the air conditioning system in your East Windsor home is going to break down, it’s going to happen on the hottest day of the year. That’s why it’s good to know you can rely on Stafford Mechanical Services, Inc. to help. We proudly provide our customers with 24-hour emergency repair services. When you count on us, you’ll get expert repairs on your equipment so you and your family can get back to enjoying cool comfort.When you call Stafford, you can count on our talented technicians to help you get the AC in your East Windsor home up and running quickly. Our team is factory trained and fully licensed, so you know you’re getting expert repair services. Not to mention, we can perform repairs on just about any make or model of air conditioning system, so even if you didn’t purchase your equipment from us, you can rely on us to help. When you need air conditioning repair for your East Windsor home, count on Stafford to help. When you need air conditioning repair for your East Windsor home, count on Stafford Mechanical Services, Inc. to assist you. We proudly service Carrier AC or any other brand. You may contact us via phone at (860) 684-9485. We look forward to helping you with all of your air conditioning needs. Nobody likes to think about the air conditioning system in their Ellington home breaking down during the hottest time of the year, but if it happens to you, count on Stafford Mechanical Services, Inc. to help. We’re pleased to offer our customers 24-hour emergency repair services. You’ll receive expert repairs on your equipment, helping you and your family get back to enjoying cool comfort as quickly as possible. When you call Stafford, you can rely on our skilled technicians to help you get the AC system in your Ellington home back up and running right away. Our team is factory trained, fully licensed and will provide you with expert repair services. Not to mention, we can provide repairs for virtually any make or model of air conditioning system. Even if you didn’t purchase your system from us, you can count on us to help. Stafford can help you get the needed air conditioning repairs for your Ellington home. When you need air conditioning repair for your Ellington home, count on Stafford Mechanical Services, Inc. to assist you. We proudly service Carrier AC or any other brand. You may contact us via phone at (860) 684-9485. We look forward to helping you with all of your air conditioning needs. It never fails – if the air conditioning system in your Enfield home is going to break down, it’s going to happen on the hottest day of the year. That’s why it’s good to know you can rely on Stafford Mechanical Services, Inc. to help. We proudly provide our customers with 24-hour emergency repair services. When you count on us, you’ll get expert repairs on your equipment so you and your family can get back to enjoying cool comfort.When you call Stafford, you can count on our talented technicians to help you get the AC in your Enfield home up and running quickly. Our team is factory trained and fully licensed, so you know you’re getting expert repair services. Not to mention, we can perform repairs on just about any make or model of air conditioning system, so even if you didn’t purchase your equipment from us, you can rely on us to help. Stafford can help you get the needed air conditioning repairs for your Enfield home. When you need air conditioning repair for your Enfield home, count on Stafford Mechanical Services, Inc. to assist you. We proudly service Carrier AC or any other brand. You may contact us via phone at (860) 684-9485. We look forward to helping you with all of your air conditioning needs. There is never a good time for the air conditioning system in your Mansfield home to break down – especially during the summer months – but if it happens to you, there is help. Stafford Mechanical Services, Inc. is pleased to offer our customers 24-hour emergency repair services. When you call us, you’ll get expert repairs on your equipment, so you and your family will get back to enjoying cool comfort in no time.When you call Stafford, you can rely on our skilled technicians to help you get the AC system in your Mansfield home back up and running right away. Our team is factory trained, fully licensed and will provide you with expert repair services. Not to mention, we can provide repairs for virtually any make or model of air conditioning system. Even if you didn’t purchase your system from us, you can count on us to help. 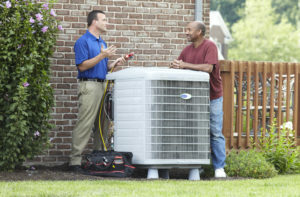 Trust Stafford when you need air conditioning repairs for your Mansfield home. When you need air conditioning repair for your Mansfield home, count on Stafford Mechanical Services, Inc. to assist you. We proudly service Carrier AC or any other brand. You may contact us via phone at (860) 684-9485. We look forward to helping you with all of your air conditioning needs.